Stand-alone product, no bubble wrap, micro-foam, or any other product is needed. 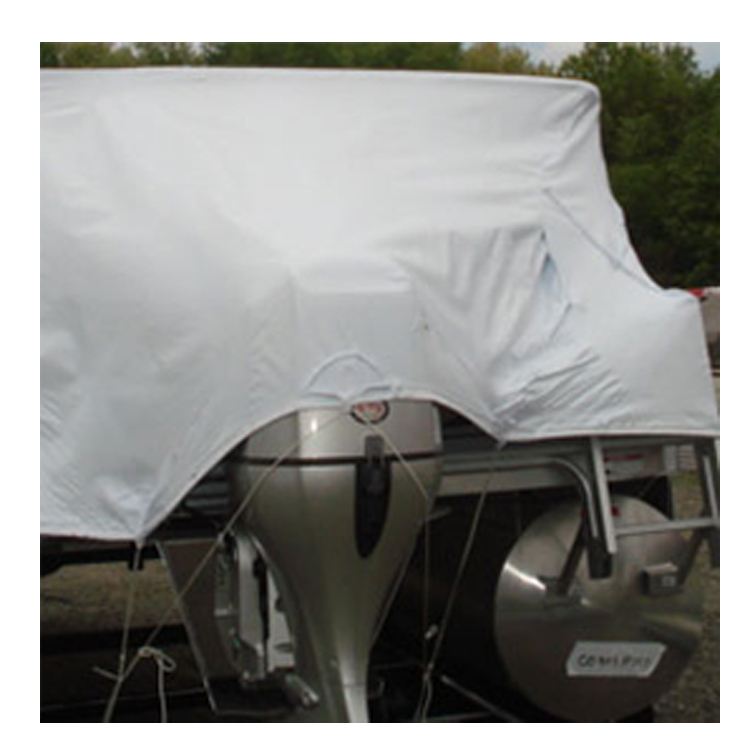 Transhield covers are placed over your boat or RV and tightened by the drawstring bottom. Additional strapping (sold separately) can be used to tighten the fit at the base of the cover. 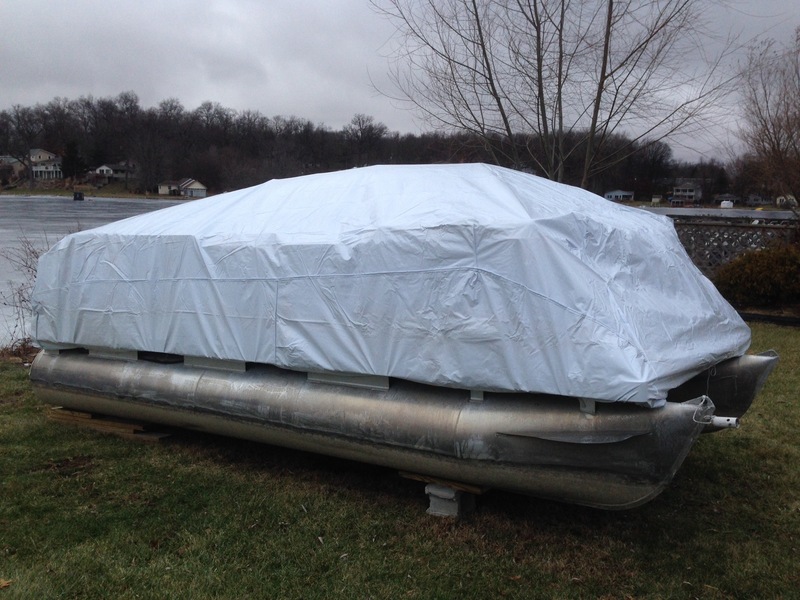 Shrinking the cover with a propane fired heat tool is HIGHLY recommended. Shrinking the covers provides a tighter fit, and also makes for less wear on the cover. Venting and the use of desiccant packets also is highly recommended. The woven lining on the interior of the Transhield will help with moisture, but if anything is damp when the cover is put on, mildew and mold can occur. 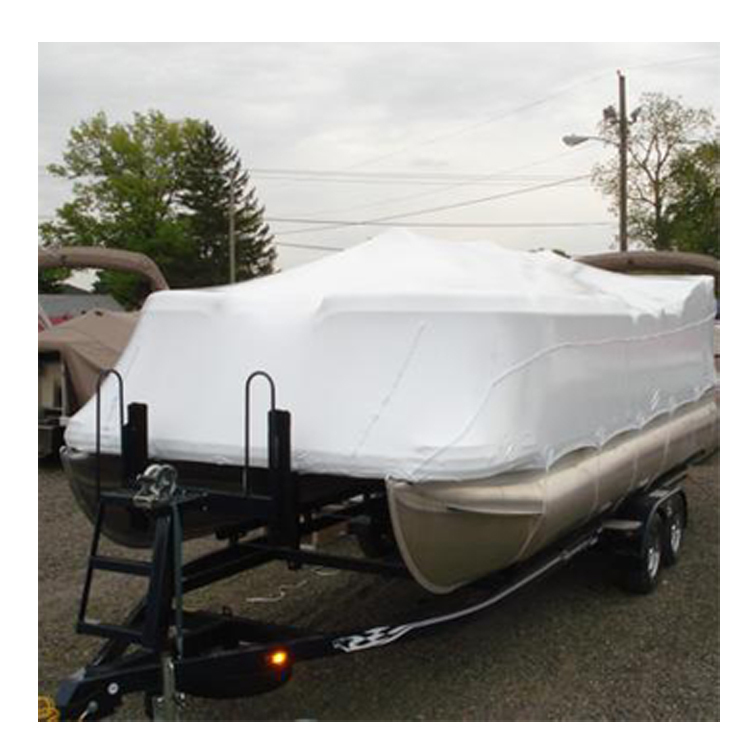 Transhield boat covers are typically reusable for 2-3 seasons. To remove your Transhield cover, simply let the drawstring out and start uncovering from one end. 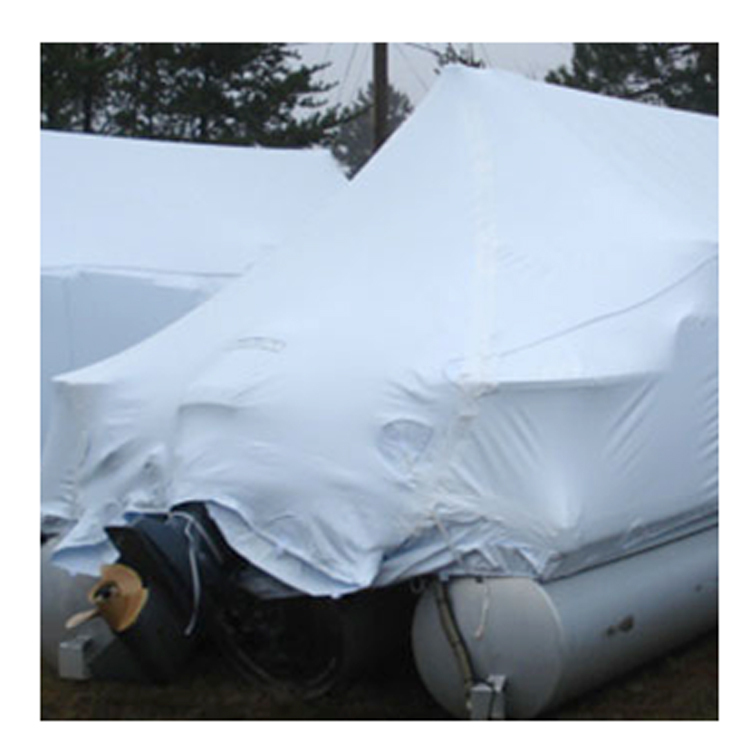 When you reapply the cover the following year, it is recommended that it be re-shrunk to form a tight and secure fit. Adjustable support poles for these covers are available. A standard 2 x 4 may also be used to support the cover with the use of support top and bottom caps.